Samsung Galaxy Note 8 is equipped with pretty advanced features which are not yet available on Samsung Galaxy S7 / S7 Edge, S8 / S8 Plus smartphones. 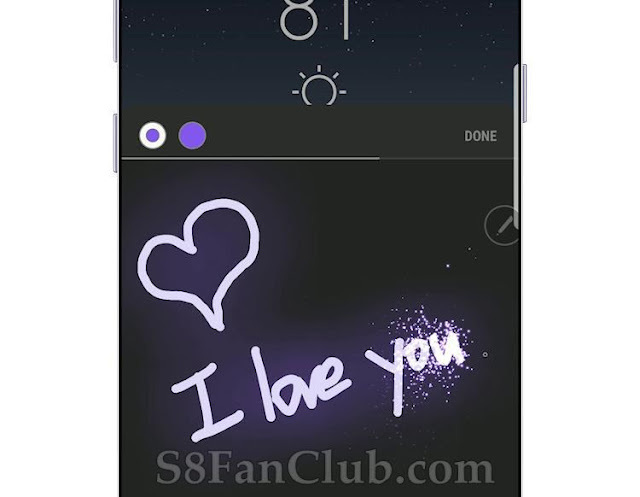 One of the pretty cool feature is Live Message, which is exclusively available for Note 8, since it has stylus to draw live messages with very cool visual effects. Mweinbach an advanced Android user and member of XDA Developers has extracted Live Message APK files from Galaxy Note 8 and modified them to work with Samsung Galaxy S8 / S8 Plus. Although Live Message APK can be installed on any Samsung Phone with Android Nougat. What is Live Message and How Does it Work? Live message is an animation of your hand drawn words or messages with cool lightning effects. 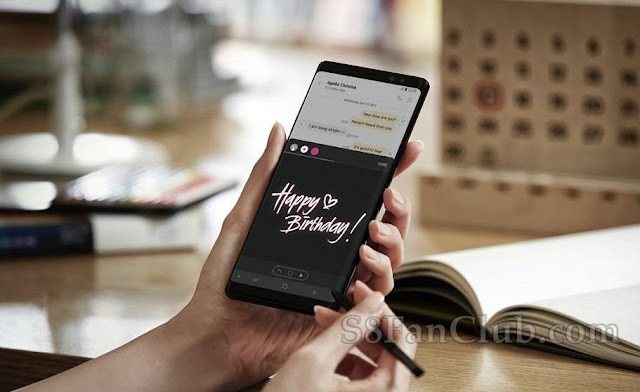 Live Message feature which has been ported from Galaxy Note 8. Works great on Galaxy S8 / S8 Plus. Since they do have Samsung User Experience 8.1 which resembles with Note 8. Live Message feature does not completely work with Galaxy S7 / S7 Edge. Although you can install it and draw the live messages on Galaxy S7 / E7 Edge with Android Nougat, but you cannot save them or send them, as it pops up with an error message unfortunately the live message app has closed when you hit the done button to save the live message. And you will feel your S7 / S7 Edge to get stuck for few seconds. There is a work around to save Live Message Animation on Galaxy S7 / S7 Edge. You can use Screen Recording Apps to Record Live Message Animation. But I think this error will be gone when Samsung will upgrade Galaxy S7 / S7 Edge from Android Nougat to Android Oreo with Samsung User Experience 8.5. You can check out how live message animations work on Galaxy Note 8 in the following video. However you will not face any hiccups on Samsung Galaxy S8 / S8 Plus. While using Live Message APK ported from Samsung Galaxy Note 8. You can also save Live Message Animation with cool effects on your phone. In the form of short video or animated gifs of up to 15 seconds. 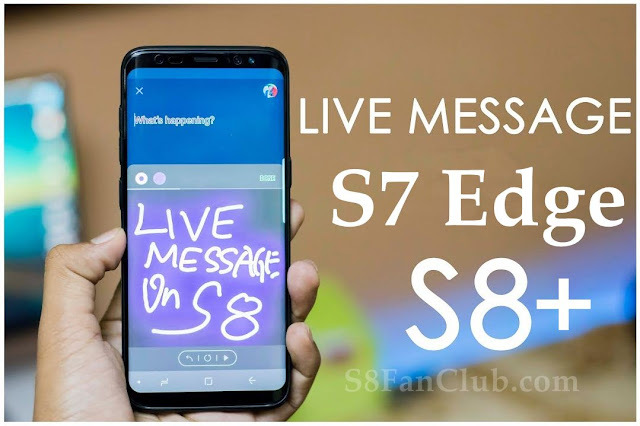 How To Install Live Message on Galaxy S7 / S7 Edge / S8 / S8 Plus Without Root? Download Live Message zip package which as several apk files, extract them. Before you proceed to install the live message apk files, you need to toggle secure startup (If it’s ON, turn it off and if it’s OFF, turn it ON). Otherwise you will face the error apk not installed. Make sure you know the PIN of your phone, as when you will toggle this setting, it will ask you to input current PIN. Settings > Lock Screen and Security > Secure Startup > Require PIN when device powers on / Do not require. Now install the extracted APK files, in the following sequence. Change your phone’s keyboard input setting by either going to Settings and then “My device” -> “Language and input” and picking Samsung Keyboard Neural Beta as your default, or just going to a text entry field and changing it that way. 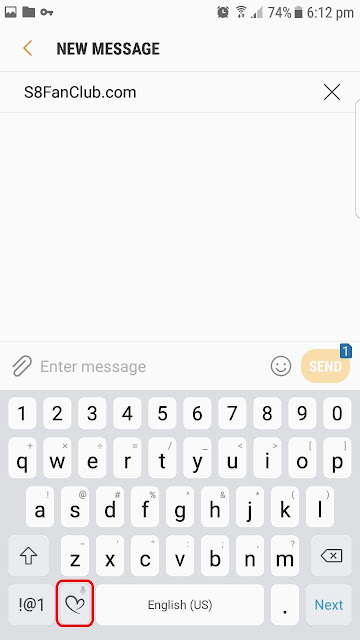 Set up the keyboard, and once done you can hold down the emoji key then tap the live messages option to open up the Live Messages feature! Now you have successfully installed Live Message Feature of Samsung Galaxy Note 8. On your Samsung Galaxy S7 / S7 Edge / S8 / S8 Plus smartphone without root access.